Our build tool allows us to create “file” targets: build tasks that only run when the dependencies are newer than the file we’re creating. This allows us to make an incremental build that doesn’t waste time on files that haven’t changed. 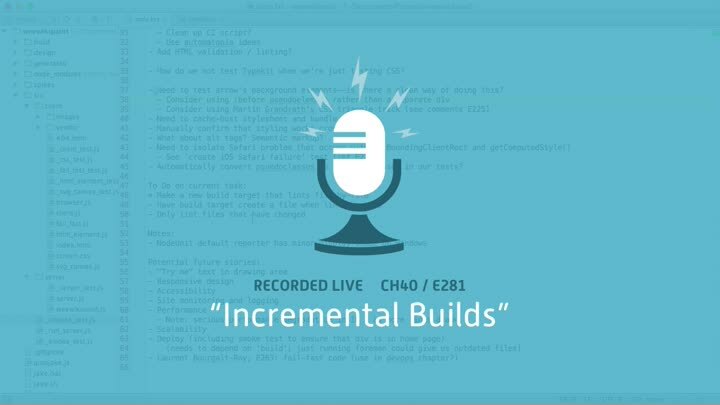 In this episode, we figure out how to use a file target to incrementally lint a single file.